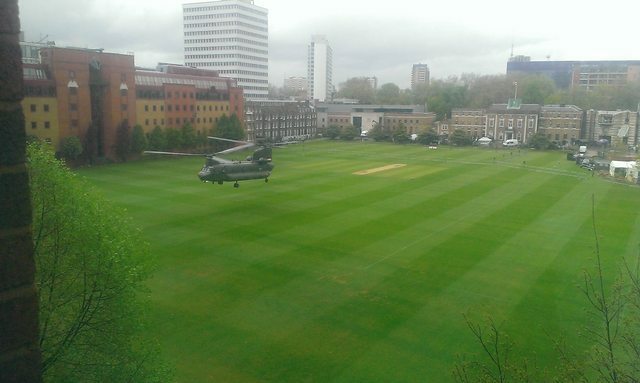 I was there on sunday watching the HAC play against the Three foresters. Will be playing there in a couple of weeks for the FT. Its a nice ground , but just a little too much concrete around it though. have played on it a few times over the year's a great wicket. Twitter: amermalik12 pls follow if you are the end of your life and have nothing better to do !..Also occasionally write for the FT ..though mostly for their website! 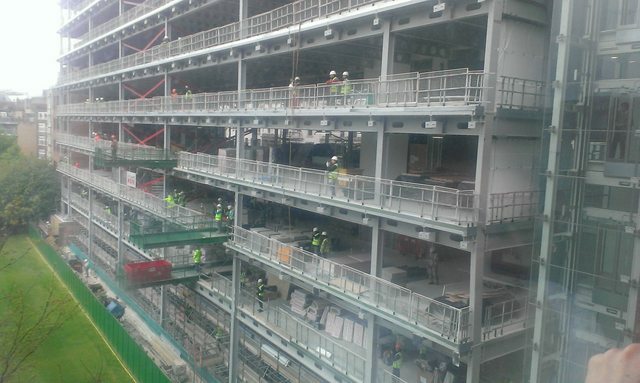 The new building has proven a worthy target for the big hitters at the HAC. Our current favorite target is the London Law school. It's great fun smacking a window when the lawyers are studying at the weekends. When you exit a Chinook from the rear it's lovely to get a warm blast from the jet wash as you lay down in all-round defence. I've enjoyed that on many a freezing cold insertion at night. 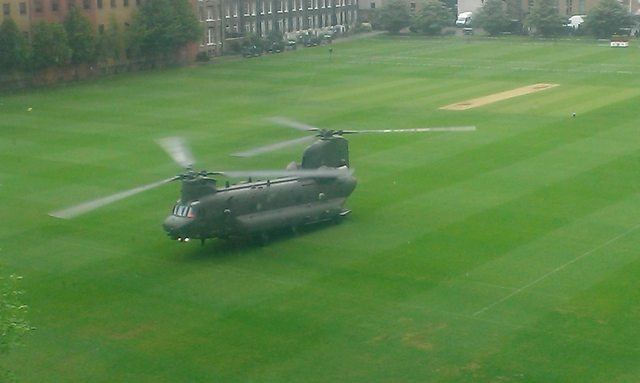 ive seen a normal single rotary helicopter used to dry a wicket/ outfield but a chinook is taking it a little far isnt it? 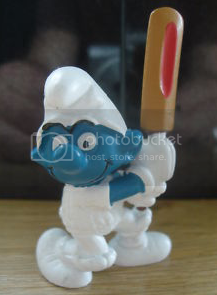 I've enjoyed a warm blast when exiting from the rear on many a freezing cold insertion at night. At FastEddie..so are you a team mate of the one and only Mr J Chaudry..sorry to go off topic. We has Princess Anne's helicopter use out ground to land a couple of years ago. Cleared the leaves off the outfield a treat! I couldn't resist an old war story. I have that immense privilege. JC is a great team mate. is it just because of the angle of the picture, but is one straight boundaries absolutely massive, and the other considerably smaller? He's one of my best mates, top lad!..he's asked me to turn out for you guys sometimes this season, I know I 'm definitely playing against you on the 9th of June for the RAC.